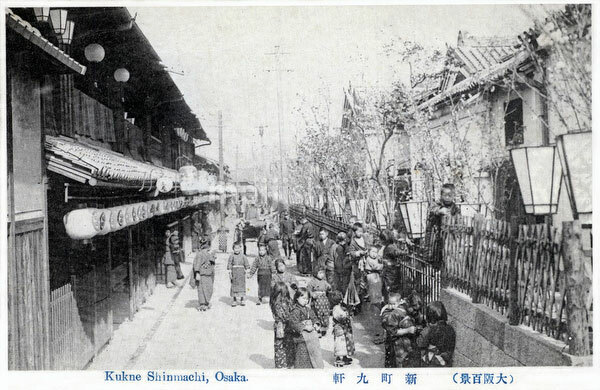 Children are playing in front of brothels in the prostitution district of Shinmachi Kuken (新町九軒) in Osaka. Trees are blossoming in the center of the street. Originally built built in the 17th century, it was destroyed by firebombs during WWII. Only a monument now reminds of what happened here. The name Kuken apparently comes from a teahouse, Kuken Chaya.